Solve Healthcare has partnered with Fidelity Capital to empower our customers with funding tools that help them to grow. Whether your organization is looking to upgrade information technology systems or acquire the latest medical equipment, Fidelity Capital provides guided options and domain expertise in healthcare to meet your specific needs. Leasing is often more convenient than alternate means of financing. Lease approvals up to $250,000 typically require a simple one-page credit application. Leasing provides 100% financing – including items such as shipping, installation, software, and training. There is no need to tie up valuable working capital – making it available for more profitable opportunities such as adding sales personnel, increasing marketing or taking advantage of quantity discounts. A good general rule is to invest Cash and Working Capital on things that Appreciate (i.e. sales people, real estate) and to Lease items that Depreciate (i.e. equipment). Just as you would never pay an employee their full annual salary in advance, leasing allows you to pay-as-you-earn. Leasing preserves existing lines of credit for previously earmarked projects, short term or seasonal needs and other financial priorities, while at the same time creating another valuable credit source. In contrast to bank loans, leases do not require substantial down payments or compensating balances, do not have floating interest rates or restrictive covenants, and can usually be structured for lower payments. Bank loans will typically allow for the note to be arbitrarily called and/or require a cross collateralization of business and personal assets. Very simply, lease payments can be set up as a direct operating expense, paid from pre-tax dollars versus after-tax profits. A predetermined lease payment schedule permits a lessee to more accurately predict its future equipment costs and cash needs. In addition, by leasing major equipment items, a lessee knows the exact amount of future payments and avoids the risk of fluctuations in the cost of funds. Or, apply online by clicking here. 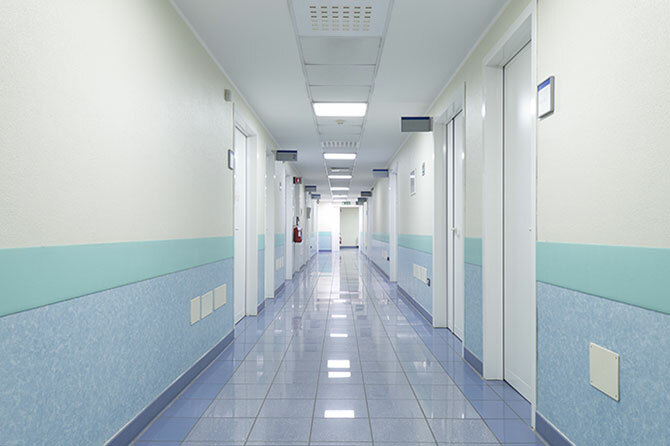 The hospital was recently purchased out of bankruptcy and rehabilitated by our client. The new management was able to turnaround the finances of the hospital and restore profitability. However, due to the short timeframe under new management numerous institutions were not able to provide financing for their medical equipment needs. Fidelity through its wide syndication network was able to secure $175,000 in equipment financing for the firm and offer competitive pricing. Lastly, this was completed on a corporate only basis without the need of any personal guarantees of the management. A highly regarded radiologist sought financing to upgrade his teleradiology platform. The doctor provided services to hospitals across the company requiring significant equipment and software investment by the doctor. Many financing firms were unable to work with the equipment being hosted in third party facilities. Fidelity was able to secure $500,000 in equipment and software financing for his practice. We were able to fund the transaction quickly and offer better pricing than many banks while asking for only the equipment as collateral.